Only 10 companies will be selected to join the year-long Grindstone Accelerator programme. South African venture capital firm Knife Capital has opened applications for the fourth edition of its Grindstone Accelerator programme, in partnership with African SME market access specialist Thinkroom. According to Knife Capital, the year-long programme aims to assist high-growth South African tech start-ups to become more "investable, sustainable and exit ready". The programme takes 10 businesses with proven traction through an intensive review of their strategies and provides them with the necessary support to build a foundation for growth through executive coaching, transfer of skills and introduction to relevant business networks, it adds. "Ideally, we are looking for innovation-driven, technology-enabled companies with proven product-market fit in a selected market, managed by an entrepreneurial team who are open to make the necessary changes to take the business to the next level," says Keet van Zyl, Knife Capital co-founder. The ideal company should have five to 50 employees and be at a crossroads in terms of strategic growth options, he notes. Van Zyl says the programme is sector-agnostic but Knife Capital would love to see applications from Internet of things, artificial intelligence, machine learning, edutech and agritech companies, which have a clearly differentiated unique selling proposition. It is also encouraging female entrepreneurs and black-owned companies to apply, he adds. 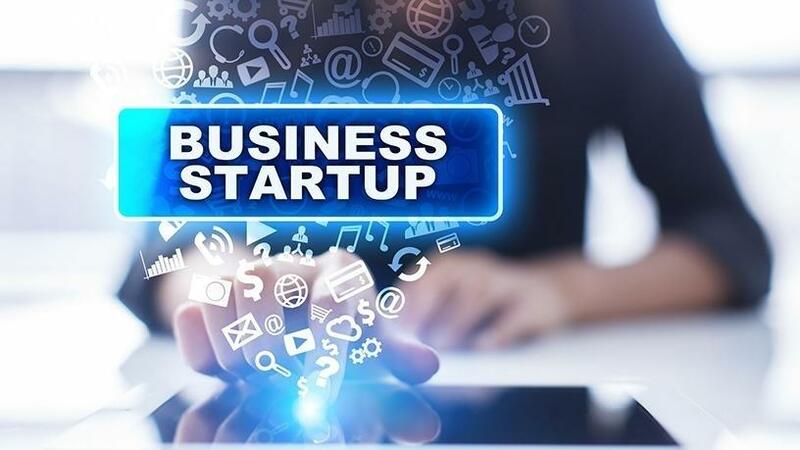 While there are many support structures for start-ups, scale-up entrepreneurs are struggling to find support that is meaningful, says Andrea B?hmert, partner at Knife Capital. "Starting a business and scaling a business requires different skills, different focus and is for many entrepreneurs a daunting and often lonely challenge. Grindstone is aimed at entrepreneurs who are prepared to work on their business to strategically and operationally prepare the business for growth. "Funding readiness and exit-readiness are sub-components but the main focus is on strengthening the building blocks of the business to really take the business to that next level. "Many entrepreneurs have been quoted saying they want to 'take their business to the next level' but amidst the many opportunities, they simply do not know how, paralysed by the fear of leaving the just recently attained sustainability comfort zone." The Grindstone programme over the last three years has proven that growth can be engineered, says Knife Capital. This adds positively to the South African story of job creation and economic growth but also creates success stories to inspire others to consider entrepreneurship as a viable career option, it adds. Catherine Young, Thinkroom founder and CEO, says SMEs contribute between 40% and 70% of gross domestic product across Africa and have a massive impact on job creation, depending on the country analysed. A focus on scale-ups enables opportunities for economic growth and job creation across these economies, she adds. "The fact that so many of our Grindstone companies have experienced growth, investment and/or exits clearly demonstrates that it is possible. The team is excited about taking everything that we've learnt into the next Grindstone programme starting in August," says Bohmert. Alumni of the programme include ticketing solutions provider Quickest, tax solutions company Tax Tim, mobility start-up WhereIsMyTransport, marketing agency MPULL, augmented reality, animation and gaming company SeaMonster, and Custos, a blockchain start-up that fights digital piracy. The programme's selection process kicks off in August with an interactive Exit Readiness Workshop aimed at providing tangible information to 50 small businesses and unpacking some of Knife Capital's exit case studies, it says. Afterwards, 20 companies will be shortlisted for Grindstone's early stage "Find-Make-Grow-Realise" investment course and gap analysis bootcamp which will conclude in 10 companies being selected as participants of the final stage of the programme, it adds. The initiative is supported by partners such as FNB Business, Webber Wentzel, Billybo Group, Creative CFO, KNF Investors and a range of Grindstone alumni companies and entrepreneurs. High-growth companies that are interested in joining the Grindstone Accelerator Programme can apply here.